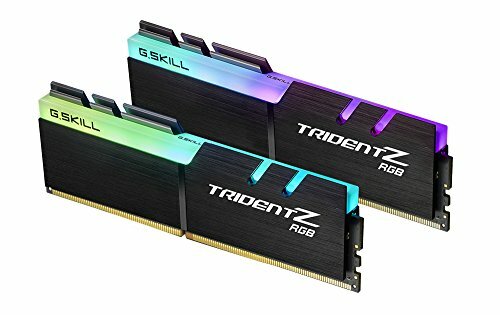 This build is for me celebrating my own graduation from high school to university with mostly my own parttime money and some of my parents' money such as CPU and RAM. I have been looking into upgrading from my i5 6600k for a long time and i7 8086k 6C12T seems to be a good choice for my workload. I do like to play games but I do some amateur photography and video editing with my friends as well. Building this PC takes around 8 hours to build since we have a lot of problems with ModMesh and cable combs. However, overall build looks really good with not over used to RGB. Looks nice and CAM is a good software to tune the lighting, however, the cooling itself can be much better and CAM doesn't support Asus aura sync so that is a slight disappointment. Great motherboard for the price with good performance and white/black look to it. Handle OC pretty well with decent amount of feature, just with there are more USB headers to plug into though, but it doesn't really effect my daily use for now. G. Skill Trident Z RGB amazes me when it comes to that fantastic lighting, 3000MHz is a fast enough speed for me and my use anyways. Asus Aura Sync works perfectly and I am looking forward to buy another set for 4x8GB. This fan is my alternative for the more expensive Riing from Thermaltake, and this performs really well in my H700i and Asus Aura Sync. Everything is adjustable and I have no complains over it. Stiff, but looks really good once you complete it. I had that card when I first built my Ryzen machine, that's a really good card. Mine overclocked very well and stayed quiet.